The Kansas City theater community knows Douglas Taylor for his 30-year run as head of Theater Technical Production for Missouri Repertory Theatre (now KC Rep), where he was the all-around go-to guy for stage design and management, construction, lighting, sound and maintenance. On productions ranging from “Hamlet” to “A Christmas Carol,” “My job was to make fantasy work,” Taylor says. But Taylor is equally renowned in two other fields, vastly removed from the stage. 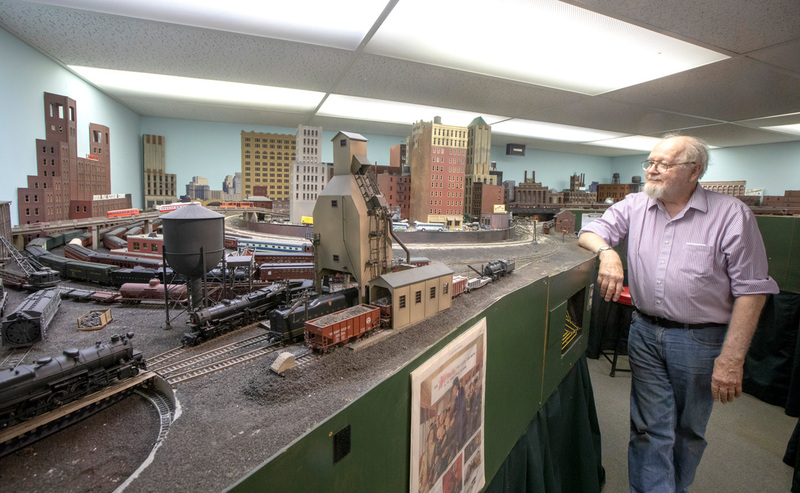 Since his retirement from the Rep in 2001, he has divided his time between his lifelong passion for model trains and a love of basset hounds that began when he and his wife, Missy (who died in 2017), acquired their first pup in 1968. 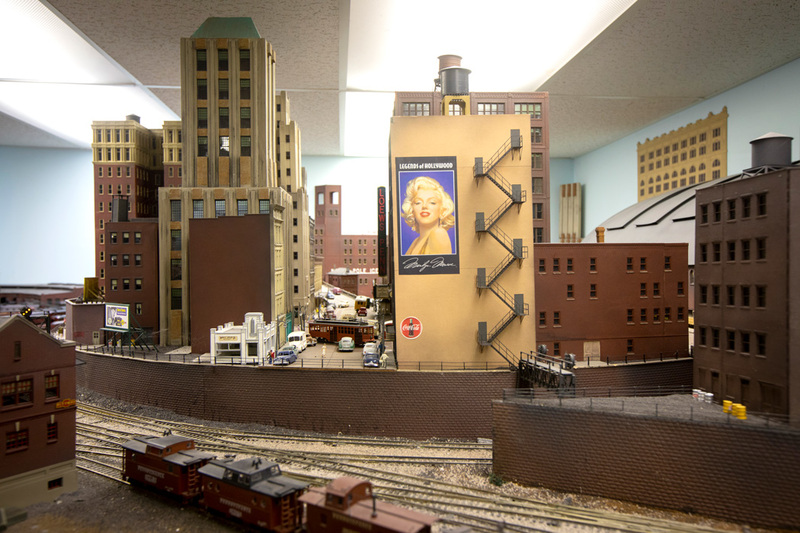 Taylor is famous for his model trains. 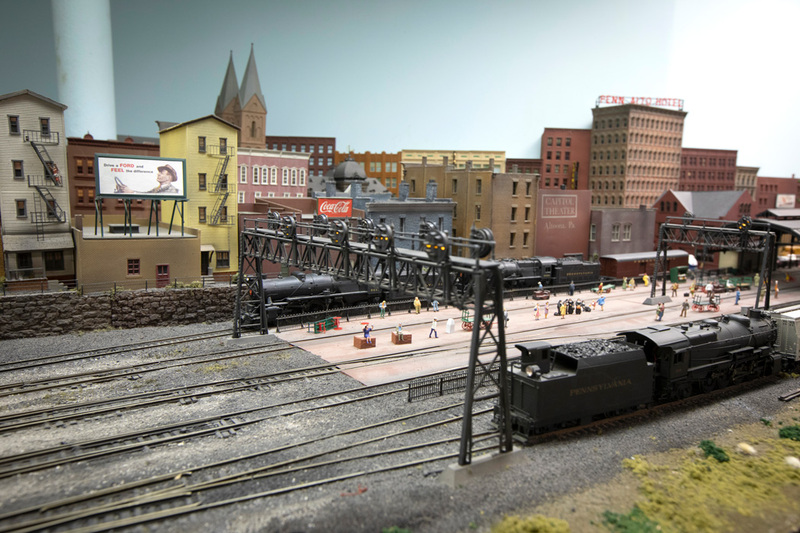 His extraordinary setup nabbed the cover of the June 2018 edition of “Railroad Model Craftsman,” the national source for enthusiasts. The issue is dedicated to the National Train Show at the National Railroad Convention, which brought around 1,500 train modelers and operators to Kansas City for the first time in 20 years. Enthusiasts also toured more than two dozen local private collections, and Taylor was at the top of the list. He may have had upwards of 300 visitors over the two days of the show. 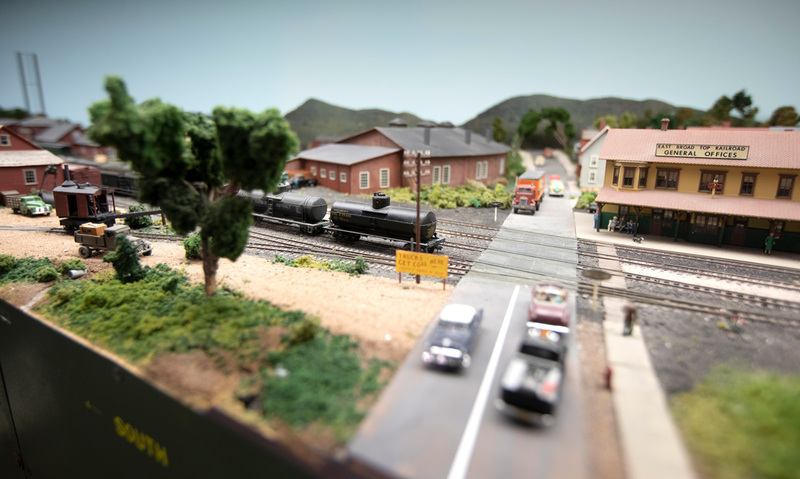 What they saw in the basement of his Roeland Park home was an expansive, museum-worthy simulation of the Pennsylvania and East Broad Top Railroads in central Pennsylvania as of June 23, 1947. Taylor, who grew up in a coal mining town in Pennsylvania, received his first Lionel Train set for Christmas in 1946 and has been building on that sense of wonder ever since. He has warm memories of childhood train rides, and he paid for grad school by working as an engineer on a steam engine train in Mt. Washington, New Hampshire. His basement setup, chronicled in an extensive writeup by Taylor himself in the June 2018 issue of “Railroad Model Craftsman,” is impressive in its authenticity and detail. Not knowing how to go about designing it himself, Taylor commissioned what he describes as “a design of my dreams,” from legendary O-scaler John Armstrong, who designed a version of the Pennsylvania Railroad that ran from Mount Union to Pittsburgh in central Pennsylvania. Backdrops were painted by one of Taylor’s students, who is now a professor. Many of the buildings were created from commercially available models, sometimes “kitbashed into unique structures.” Trees are made of imported Australian tumbleweed, lakes are fashioned from shower doors, cliff walls are constructed of broken ceiling tiles from the Rep’s Spencer Theatre. 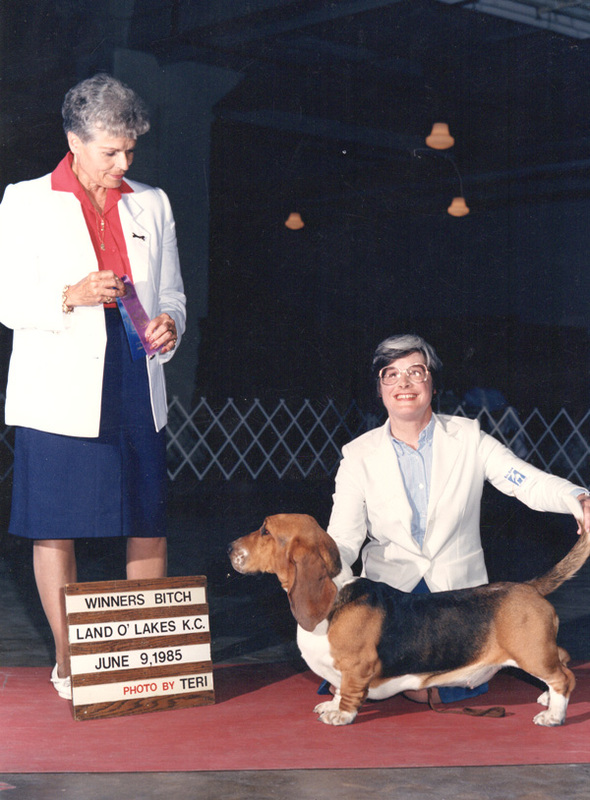 Taylor’s long involvement in the basset hound world, as a breeder, trainer, show competitor and judge, also has a theater link: For 12 years two of his dogs appeared in the Fezziwig party scene in the Rep’s production of “A Christmas Carol.” One year, Taylor recalls, one dog even corrected missteps by the actor. Taylor’s house is a shrine to basset hounds: Pictures, statues and decorative items abound. On a wall in his living room hangs the very first illustration of a basset hound from the Book of Dogs back in the 1700s. It came from Jane Luce, Taylor said, who was also a great fan of the dogs and used them on formal rabbit (not fox) hunts. Taylor is a 3 Group Judge for the American Kennel Club and finds himself judging competitions for them most weekends. Other clubs hire him as well. He runs the only private, in-home kennel in Roeland Park and is a respected source for basset hound pups. His only rule is that “the dogs must come back” if the new owners, for whatever reason, can’t keep them. Wonderful article about an old friend from the Dartmouth days when we sang God Bless America at the end of every strike. And, so many memories were made those years. Thank you. I would live to reconnect.